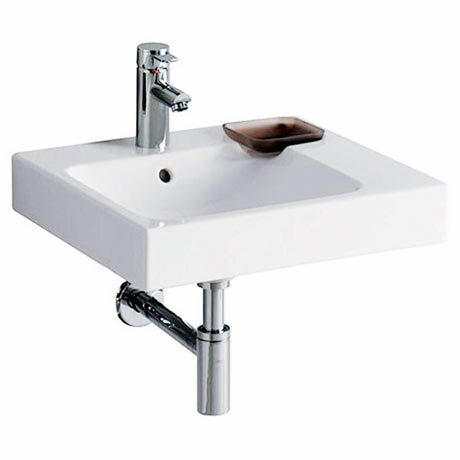 With a contemporary square design, the 3D washbasin is stylish and comes at an affordable price. Manufactured from high quality fine fireclay, the basin features a single tap hole, integrated overflow and a right handed shelf with a decorative tray for storing jewellery or soap. Dimensions: (W)500 x (D)485 x (H)150mm approx.